These places will be available to affiliated and non-affiliated runners. 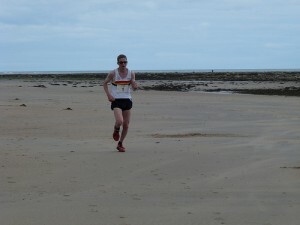 The renowned event takes place over a multi-terrain route, stretching for approximately 14 miles. It starts from Beadnell Harbour and follows the stunning Northumberland coastline down to Alnmouth beach. 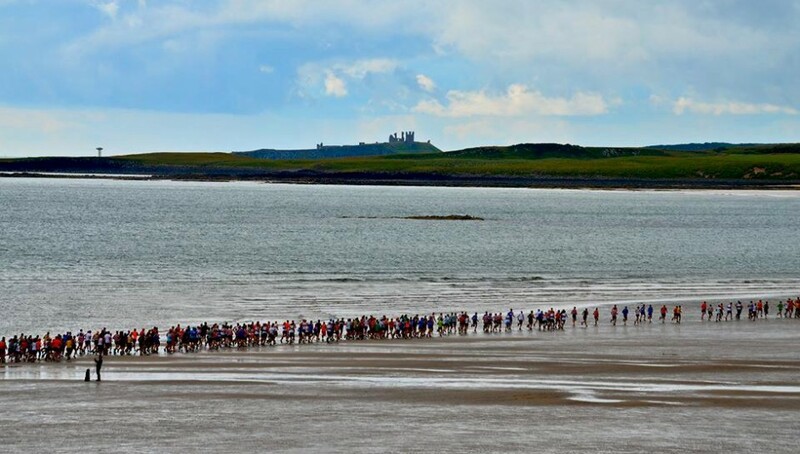 Here are the results for the 2018 Northumberland Coastal Run, held on Sunday 29th July…https://resultsbase.net/event/4251/results. Many, many thanks to the superb marshals who cheered on the participants so well despite the grim weather! And of course many thanks to race organiser Tracey SAMPLE who did a fantastic job in organising another great event. The committee would also like to thank several organisations who made the race possible including Rothbury Motors, Alnmouth FC, The National Trust, Rapid Reaction, Alnmouth Links Golf Club and Hipsburn First School. Finally well done to the runners who braved the rain and headwinds!! Hope to see you again next year! Well done to the race winners who were Tyne Bridge Harrier Tom CHARLTON and for the 2nd year running Morpeth Harrier Jane HODGSON. Tom was the clear winner of this race for his first time, finishing over 3 minutes ahead of 2nd placed Ross FLOYD of Morpeth Harriers. 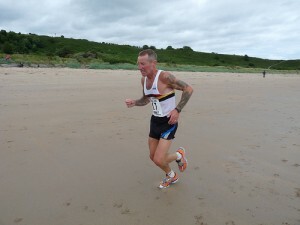 Stephen JACKSON of Elvet Striders was 3rd, ahead of our very own Dan TURNBULL who retained the 1st male Harrier shield. For the women Jane won the event for the 2nd year on the spin, finishing just over 6 minutes ahead of Horsforth Harrier Aisling WALL. 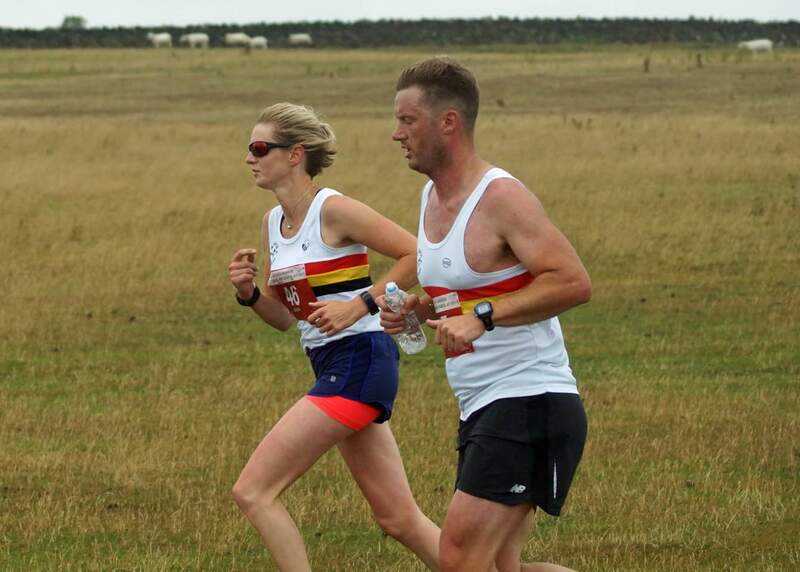 Former winner Judith NUTT was 3rd, whilst Alnwicks first finisher was Laura STUBBINGS, having a rare run in a Harriers vest! Photos are of female race winner Jane HODGSON (courtesy of Steve MILLER), 1st Harrier Dan TURNBULL and Laura STUBBINGS/Steve STUDLEY. 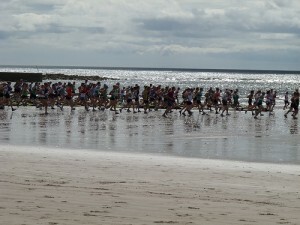 The first ever Beadnell to Alnmouth Race was held 1979, there were only 12 competitors. 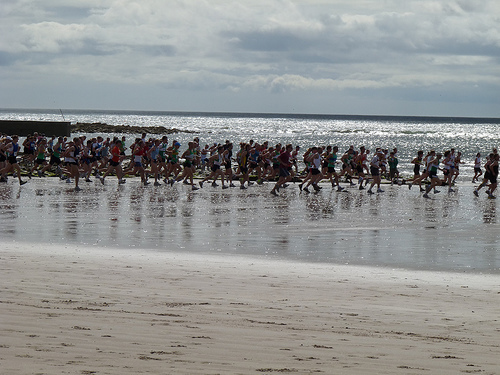 In the beginning competitors had to choose their route starting in the sandy bay next to Beadnell Harbour and then heading south running to Alnmouth (approximately 14 miles). 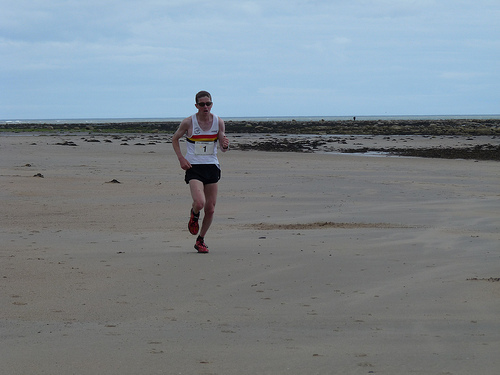 The winner of the first race was Archie Jenkins who runs for Morpeth Harriers. The winning time was 1 hour 22:30. 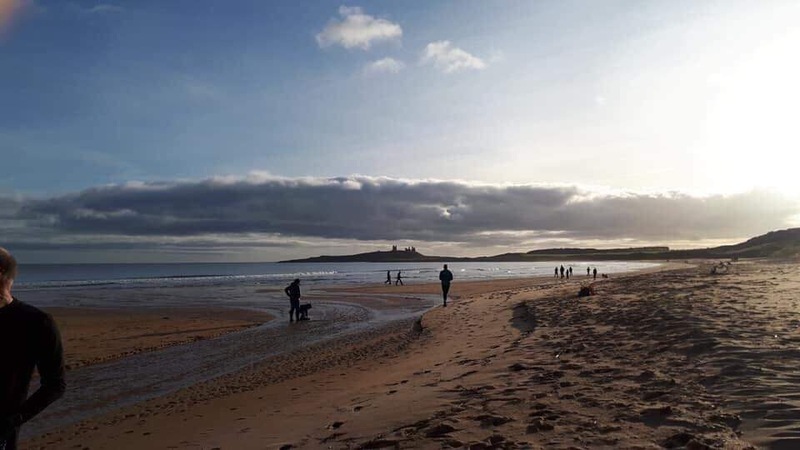 Start at Beadnell Bay and head South via Newton Links, Low Newton By The Sea, Dunstan Golf Course, Dunstanburgh Castle, Craster Village, The Heughs, Cullernose Point, Howick (Sea Houses Farm), Sugar Sands, Boulmer, Foxton Beach, and finishes on the beach at Alnmouth. At its height in 1992, 1,085 competitors finished the race. 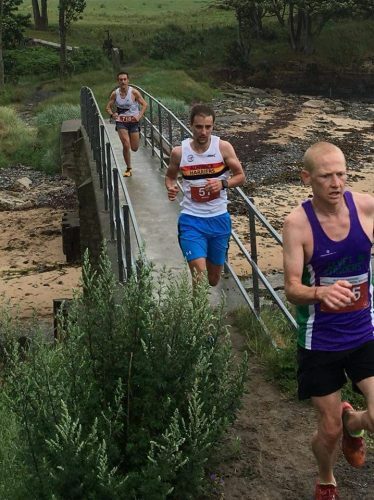 The course record for the race is held by: Male: Ieuan Ellis (Elswick Harriers), 1993 1h:10m:30sec and Female: T Calder, (Edinburgh AC) 1h:22m:42sec. 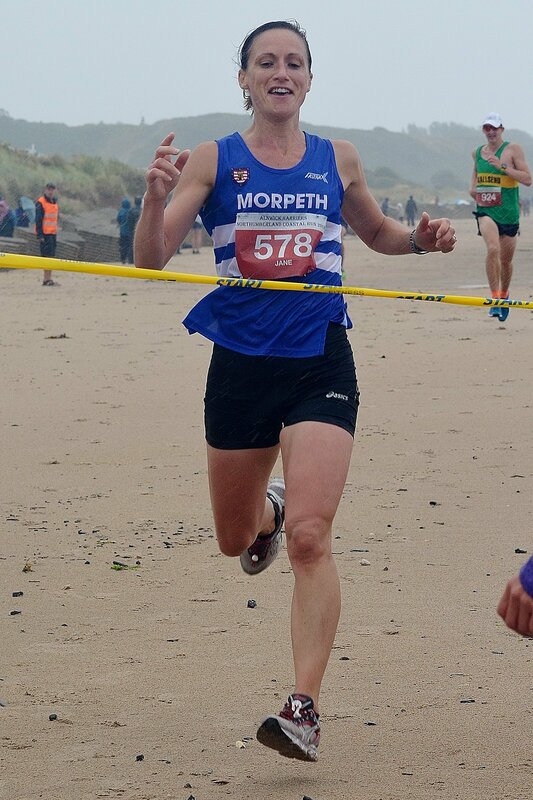 Thanks to all marshalls and organisers for making my return to the coastal run a great time.Sorry to the photographer whom i flattened at start!!!!!! Another great day out at The Coastal Run, many thanks to all the lovely marshals etc who were very encouraging to those of us at the back of the race. Even the weather didn’t dampen my enjoyment. Completed the race along with 2 sisters, 2 brothers and sis in law (another sister and neice set off at 8.30 to walk ahead of us). A whole lot more of Luzanycia clan were waiting at the end and we would all like to thank everyone who organised this brilliant event. We are already looking forward to the challange next year where we hope to get the rest of the family to run. Many thanks to all who helped in any way with yet another successful Coastal Race, it’s well worth the 4oo mile round trip to take part and to get a great t-shirt for the effort makes it more so. I now know what a windsock feels like!!! Thanks again from all at Clowne Road runners. Thanks again for another lovely event – my 3rd time in last 5. I fell badly at 4 miles but picked myself up and finished 5 minutes faster than my time of 2 years ago! My ankle is now very swollen and can’t walk on it. Amazing I didn’t feel a thing while running. Thanks to those around me who stopped to check I was ok. Thanks for your lovely comments Fiona! You’ve been added to the roll of honour! Hopefully see you guys next year. Thanks Mark. Elvet Striders will definitely be there in force again next year. Thanks to all the organisers of this event for a great day I travelled over 450 miles (round trip) to run this race and although not having entered a race for over 25 years managed to finish. It was great to see such a range of people enjoying the day and the course is brilliant with such a variety of terrain which is quite testing. I did this to celebrate my 65th birthday and would like to thank everyone who supported me. Special thanks to my wife for making me get out there and train in the winter months and to Maureen Johnson who was with me at the finish. Well done Alnwick Harriers and everyone involved, hope to see you again. Completed the last 2 years – the whole family somes with me for the weekend. Was away this year during the registration period and couldnt get access. Got back on Sunday to disaster – all places gone! If any entrants for 2013 know they cant make it and want a ready replacement willing to pay the going rate, just let me know!!! Thank you to Alnwick Harriers for another great run. And thank you for my vet 65 award. It’s relatively unusual to have an award in this category because it is relatively unusual to be a female runner age 65 plus. I understand that. 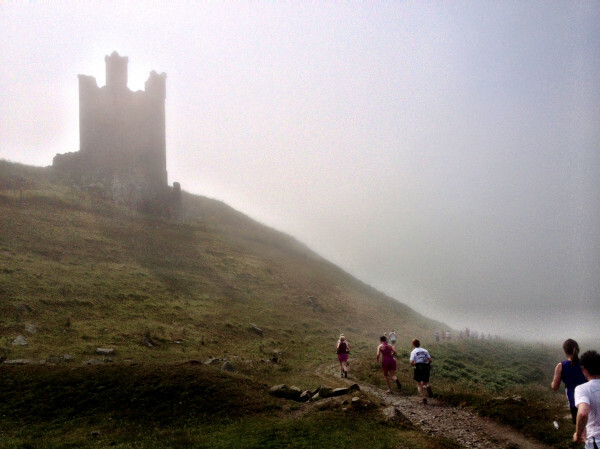 But it takes a lot of motivation to continue running as the times fall off a cliff-edge (! ), so thank you so, so much you lovely people! I will see you next year.